Millions of lives have been improved worldwide through impact ventures delivering social and environmental outcomes alongside financial returns. But with impact investment representing just 1% of capital allocated globally, just a small increase could unlock billions more to benefit people and the planet. The Global Steering Group for Impact Investment (GSG) is working with partners across the world to scale impact by bringing purpose and capital together. Pioneers Post has partnered with GSG to deliver its annual Honors programme – celebrating the brightest impact stars in the impact firmament. We helped collect and judge winners from more than 50 shortlisted applicants. 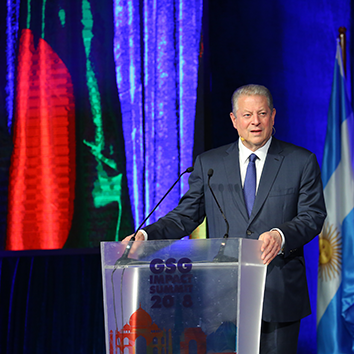 Alongside this, we report on a key GSG events, including the annual summit in Delhi, India in 2018, which heads to Santiago, Chile in 2019.